"Do you know of a way to drop a terminal branch from a phylogeny, yet preserve the node it came from as a singleton node? I initially thought drop.tip(trim.internal=F) would do this, but it does something a little different, apparently (it preserves internal branches that become tips by pruning, but not nodes that would become singleton nodes)." "N" "M" "F" "I" "Z" "R" "P" "S" "G" "W"
This seems to be the correct result. This works in most cases, but it has a small bug. I believe I have already fixed it & I will post the code shortly. Hi Luke. The fixed code (already sent to you via email) is here. No - plotTree.singletons is not particularly functional. It was just written as a check. Do you have some more serious use for this? Whoops, it was the fixed code you sent that worked, just to clarify. 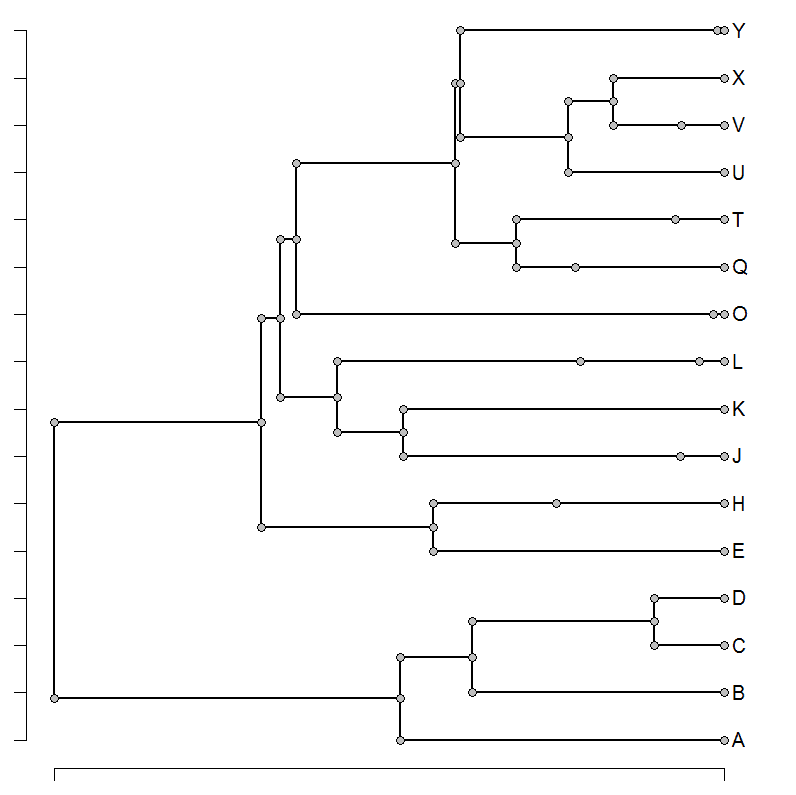 As for using plotTree.singletons, what I had in mind was using singleton nodes to distinguish stem from crown in highly simplified backbone trees. 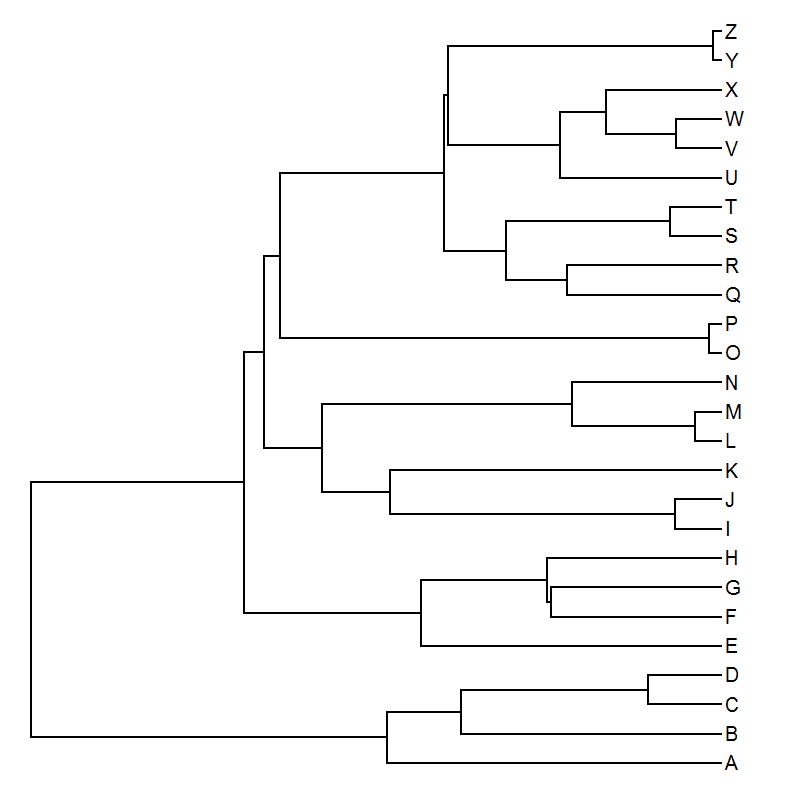 E.g., if I were to prune a bunch of recent clades down to a single tip each, it would in some cases still be useful to indicate where along that branch the transition from stem to crown occurred (one way to do this would be to use a thicker line for the "crown" portion). Just a thought I had - in my case it's very easy to do this with some quick post-hoc modification to the figure.